Be part of our growing Sports Hub community and lead a healthier lifestyle! Even if you're not an exercise addict, enjoy memorable moments with family and friends with these sports and leisure facilities that are yours to use – for absolutely FREE! 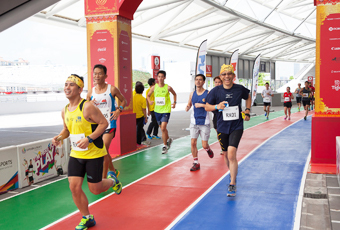 Join us for a jog anytime on these full-sheltered 900-metre tracks that encircle the amazing National Stadium! Join in our Experience Sports programmes here! 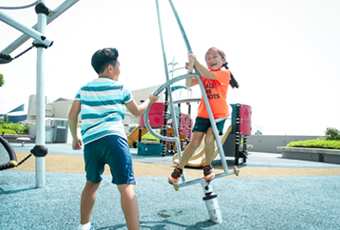 Featuring climbing courses, see-saws and slides, our kids’ playground is the perfect haven of fun for your little ones! 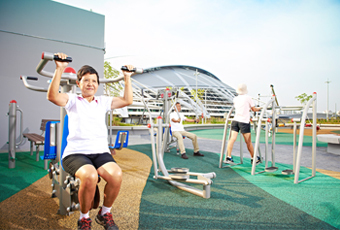 Spice up your training routine at our range of exercise and fitness stations out and about around the Sports Hub precinct! Practise your moves alongside action sports enthusiasts at the Skate Park, which features rails, a fun-box and a mini-quarter pipe!